Rosé has an ambiguous reputation as a fruity summer wine, "feminine" wine or overly simple wine. Most wine drinkers don't realize that rosés, especially well-made dry rosés, can be just as complex as their white or red counterparts. (Try them in a blind tasting and see what happens — you will not be able to distinguish them from red or white wines!) In the United States, rosé is finally sheddings its negative image and making a comeback. But to better appreciate this misunderstood wine, we will travel to France, where some of the world's best rosés are produced, and learn just how good rosé can be. For a rosé, color is essential — it's a major aspect of its appeal. It is impossible to define the "correct" color of rosé wine, which can range from pale pink to light red. While some wines are salmon-hued, others are tinged with fuchsia or mauve and even hints of orange and beige. 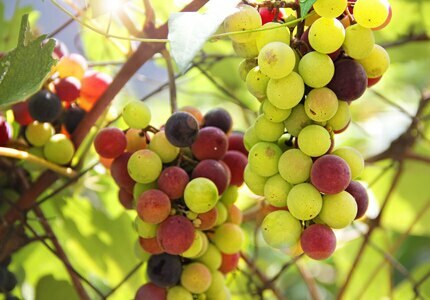 The vast range of colors depends on the richness of the grape's phenolic compounds, specifically its red pigments (anthocyanins) found in the skin and duration of contact with the skin. 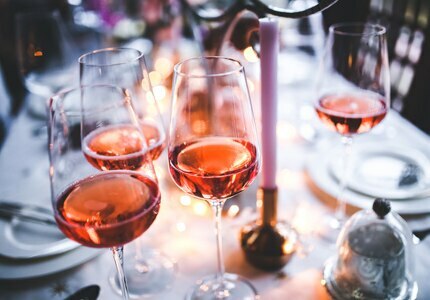 The downside of rosés, which are synonymous with fruity refreshment and bulk wines, is that they are often adulterated with too much alcohol or sulfites, causing unpleasant side effects such as headaches and upset stomachs. In fact, in 1980, only one out of five French rosés was decent, according to Lucien Peyraud, pioneer of the renaissance of Bandol wines. The great discrepancies in the quality of rosé depend on the way it is produced, which is based on specific techniques of vinification. There are three types of rosés: one that is "bled" (saignée), one that is "pressed" (pressurage) and one that is in minimal contact with the skins (limited maceration). For “bled” rosés, the winemaker extracts a certain quantity of red juice, or "jus de saignée," from a vat of fermenting red grapes, which is then put in steel vats during the fermenting process. This method allows wine producers to increase the concentration of a red wine that may be overly diluted due to excessive juice in the grape or a premature harvest. This explains why so many wine producing regions make this type of rosé, which is often of an mediocre quality. The other technique, "pressurage," involves pressing dark skinned white grapes to obtain a sufficient blush color. After the pressing, the process of vinification is the same as it is for a white wine (see How White Wine is Made). 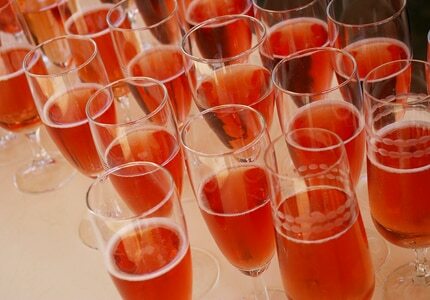 Note, however, that blending white and red wines to make rosé is forbidden, except in the Champagne appellation. The most common method is limited maceration. This process is basically the same as the one for producing red wine except that limited maceration of the skins produces a lighter or rosé color. Historically, rosé wine practically disappeared in the nineteenth century and in the first half of the 20th century. Red wine was reserved for peasants and workers, while rosé became the wine of choice for the middle class in the 1960s. Today, there is a new surge in the popularity of rosés, associated with sun and summer fun. Its origin, however, is much older and dates back to the production of Claret in the Bordeaux region during the fifteenth century. The grapes, which were mostly white, were crushed by foot and left to ferment overnight. The extracted juice was then transferred to a barrel to continue the fermenting process. The longer the juice remained in contact with the skins, the darker the color of the wine, which was called vermillion. Due to its sour taste, it was not enjoyable unless diluted with water. Today, Claret is still produced in the Bordeaux region using Cabernet Sauvignon, Merlot and Cabernet Franc grapes. The tinted juice is separated from the fruit and then left to ferment, resulting in a fruity, refreshing and lightly sparkling wine. Despite their popularity in the United Kingdom, the rosés of Bordeaux are not well known nor distributed in France. There are some excellent ones, such as Jean Merlaut's Château Dudon (AOC), and unexpected ones like La Lagune, a rosé "table wine" with a slightly sparkling quality. Pinot from Marsanay — the only tri-color commune in Burgundy — is "bled" yet produces an excellent, full-bodied rosé redolent of red currant. There are also some interesting cheaper finds, such as a rosé from Antonin Rodet. While the South East remains the preferred rosé-producing region — with its Tavel and Lirac Côtes du Rhônes, its old provençal vineyards in Palette, Bandol or Bellet in Nice, the Coteaux-Varois, and the rosés of Aix and of Provence — the majority of other wine-producing regions are now seeing la vie en rose.